Here are a few ‘city weekenders’ within reach of the major centres of Sydney, Perth, Darwin, Melbourne and Brisbane. Borgy heads to higher ground in search of the ultimate Sydney weekender. I’ve got a sneaky suspicion there is going to be a whole lot of Sydneysiders listing the golden hills of Abercrombie River National Park as their second home address. So let’s have a look at why this spot is such a cracker, shall we? First up, you’re looking at about a three-hour run to get to the edge of the park from the heart of Sydney, so it’s fairly accessible for quick 4WD-based weekenders. Now, as you enter Abercrombie River NP, you could be forgiven for thinking it’s just like any other national park, but the gentle bends of the dirt trails give this special place away. As you start heading up into the hills, there’s something about the atmosphere that changes. The forest opens up, the gums trees create a peaceful mood and, most importantly, you can chuck the 4WD in low range. There are plenty of designated campgrounds in the park, and each has its own little quirky attributes. The campsite of choice for me is called “The Beach” – it’s also one of the largest ones with a massive choice of riverside camps. It’s as simple as finding your own little stretch of paradise and calling it home for the weekend! 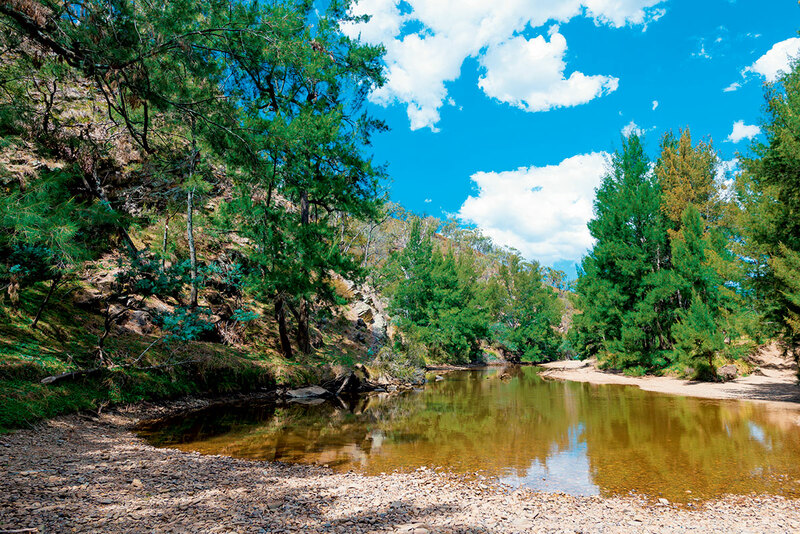 Thanks to a landscape of deep gullies with rivers running through them, Abercrombie River NP was a popular place during the goldrush of the 1800s. There’s still evidence and past ruminants of sluices and machinery, even old diggings scattered throughout the park. Thirsty for action in between long-haul trips, the Burtons found their camping fix an hour and a half from home. Sometimes you can get so caught up in the day-to-day grind and saving up all your annual leave for trips too far away. With a few days up our sleeve during the school holidays we decided to bite the bullet, dust the camper off and squeeze in a couple of nights away in our own backyard. Rather than being blinkered to sites along the coast, we headed inland to Wellington National Park which contains Wellington Dam. There are two formal campsite options here: Honeymoon Pool (which is more for tents and very small campers) and the main Potters Gorge campground. There were less than half a dozen other campers in Potters Gorge campground when we arrived, so we were able to get a nice spot next to the water. The water in the dam was deep and fresh, and the surrounding jarrah, marri and blackbutt forest provided plenty of cool shade. The next morning we decided to move on and sought some solitude on the back tracks rather than simply taking the bitumen. Turning off Coalfields Highway we found ourselves on a track, of sorts, paralleling the Lunenburg River, which eventually deposited us in Brunswick Junction. Leaving behind this little pocket of Eden, we headed out to the Forrest Highway and once we had some reception logged online to pre-book a site at Martins Tank campground in Yalgorup National Park, near Preston Beach. 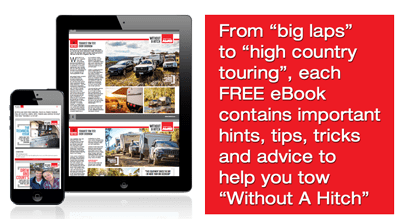 There are about a dozen sites that can accommodate a caravan or camper trailer, with the remainder being for tent-based camping. In just two nights away, we had experienced forests, freshwater swimming, wildlife, 4WDing and the beach and still had time to read, laze and just generally relax. Litchfield National Park in the Northern Territory was once a hidden destination, often overshadowed by its big brother, Kakadu National Park. But now the secret’s out. In 1986 it was proclaimed a national park and named after one of the expedition members, Fred Litchfield. Today, the magnificent waterfalls and crystal clear plunge pools of Litchfield National Park attract more visitors than the amazing Kakadu and beautiful Katherine Gorge combined. Litchfield’s waterholes are legendary and, due to the selection of our first night’s campsite, the plunge pool below Florence Falls was the first stop on our rediscovery of this beautiful paradise. 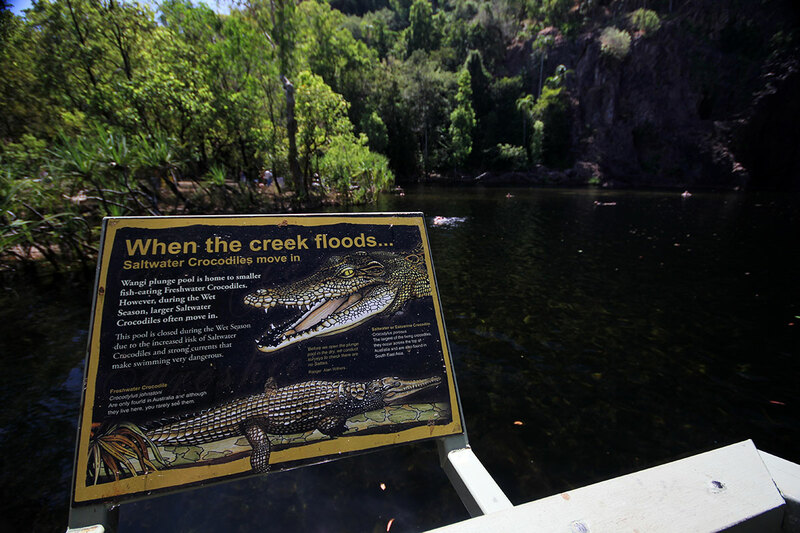 If you’re feeling a little bit more adventurous, continue along the Florence Creek walk and you’ll soon arrive at Buley Rockhole, probably the most popular swimming area in Litchfield. You’ll find not one, but a series of plunge pools stepping down the hillside, linked by cascading water. Despite its occasional dangerous denizens, Wangi Falls is a lovely, picturesque picnic spot and on a hot Top End day, walking into the shade near the water is like walking into a giant natural air-conditioner. At Wangi Falls there is a very pleasant boardwalk around the edge of the pool which, for those looking for more than just a stroll, leads onwards and upwards to a 1.6km loop walk through the top of the rainforest canopy and up across the top of the falls. Litchfield NP is a wonderful place to camp for a few days but, even if you only have a day to spare, it offers a great experience that you’ll long remember. For many it is the highlight of their Darwin trip. Most of the driving is on an excellent sealed road, however some of the most interesting attractions are down 4WD-only dirt tracks, with a few creek crossings. Wilsons Promontory, the southernmost tip of mainland Australia, hosts a bevy of treats for the Melbourne-based weekend warrior. The south-eastern coastline of Victoria is filled with staggering cliffs, sandy beaches and picture-perfect campgrounds. 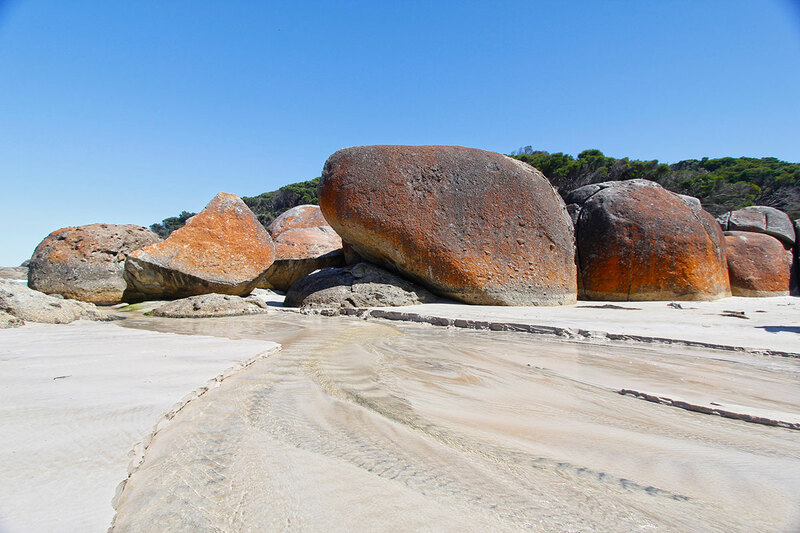 Melburnians need only drive two hours to find some serious seclusion for a few days at a ‘living postcard’ called Wilsons Promontory. You’d think it’d be reasonable to conclude that Fish Creek is a fishing destination, wouldn’t you? Well, don’t be fooled, because its name is misleading. What they didn’t tell me was that Fish Creek is actually a small town without a bloody creek in sight! The thriving hub of the little-town-with-no-fish is its damn fine watering hole, the ‘Fishy Pub”. Although there is no real campground at Fish Creek, the pub offers cheap accommodation with a warm bed and piping hot shower. This is a great campsite, if you consider pit toilets to be a luxury and are pretty self-sufficient. It’s simple and scenic, which in my opinion is exactly what camping is about. Just remember to BYO toilet paper and firewood. If you fancy a meander, take the Point Smythe Walk. It leads you 6km across sand dunes, and takes approximately two hours to complete. Budding historians should head for Cape Liptrap Lighthouse, built in 1913 and still in operation today. This is a great spot to cruise along the beach and enjoy the scenery. If you loaded the tinnie on the roof like we did you’ll be able to launch it here, but be wary of the large sand flats, which are quite shallow. The light gradient of the flats means that the tide comes in quick smart, so if you’re leaving your car for the afternoon make sure you park it up high. Sandy shores, great fishing and more wildlife than you can poke a stick at; Bribie Island sets the scene for offroad action. 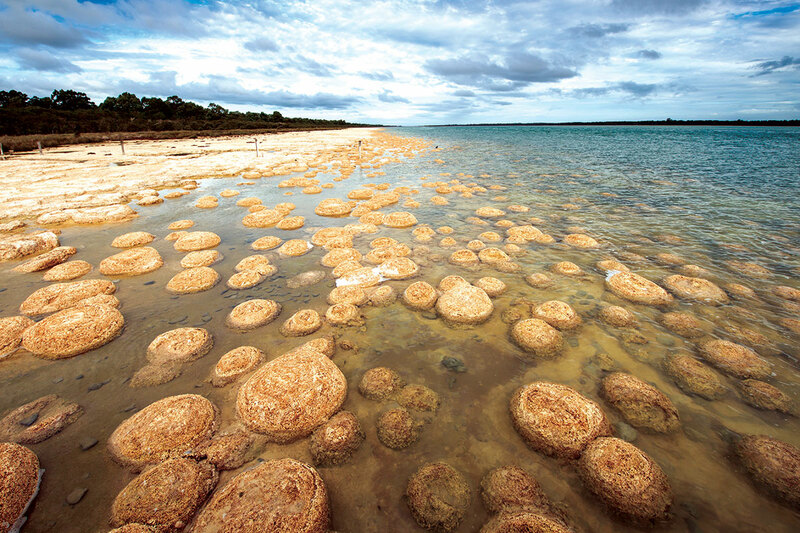 The sunny state of Queensland is home to to some of the best islands in the country. Bribie Island is not your typical island escape. You don’t have to spend a fortune on barge fees to get your rig over to it and it’s not all that remote. You can get to Bribie Island by simply crossing the main bridge about an hour north of Brisbane and, once you’re over there, you’ll find it’s got shops, schools and takeaway joints just like any other town. But with more than three-quarters of Bribie Island being declared national park, you can bet your bottom dollar it’s also the perfect place for a sandy adventure with your family or your mates. 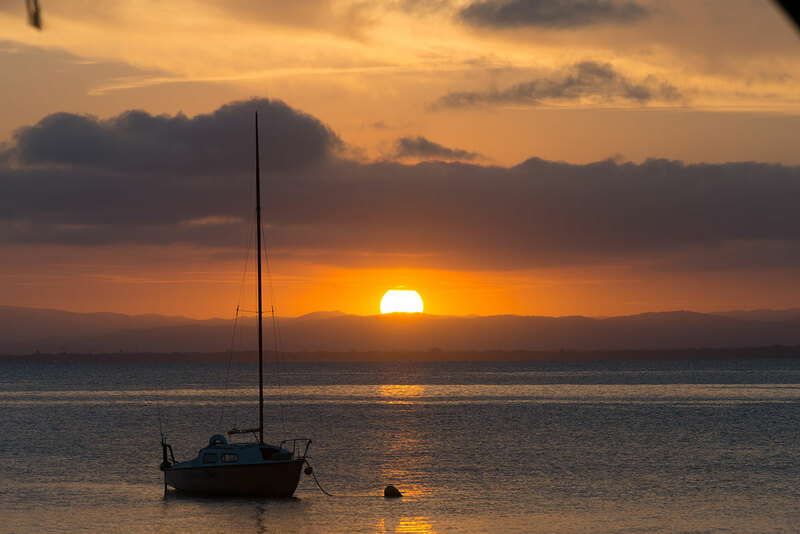 When it comes to choosing your Bribie adventure, it really depends on what you’ve got in mind. If going for a nice relaxing paddle sounds like a good way to blow off some steam, you’ll find several freshwater lagoons, with access to most being straight off the beach. When it comes to camping, you’ve just got to spend a night or two at Gallagher Point. It’s a low-key bush campsite overlooking Pumicestone Passage and is located about 2km north of White Patch, which is on the western side of the island. There’s a good chance you’ll see kangaroos and goannas on the sides of the track, and keep a close eye out for the occasional bush turkey. As you explore the island, you’ll find the terrain is pretty typical for beach driving. The beaches’ entry/exit points can get very soft at times, so you’ll need a bit of momentum and nice low tyre pressures to make life easier on on your 4WD. Places like Bribie should be listed as full-blown medical miracles, in my opinion. It’s the kind of place that will reduce your blood pressure and cure the blues the second you cross the bridge there.